As I've gotten older and more intentional about which pieces I choose to invest in each season/year, I always go for 3 things: neutral, classic, and basic. Of course, I like to mix in a few trendy pieces here and there, but for the most part, these SIX closet staples for Fall (in the color of your choice, obviously) will get you through year after year. I often have girlfriends say to me 'I wish I had your closet or your shoe collectiion', etc. and I always tell them to start with a piece or two and build from there. Choose pieces that are versatile, easily layered with things you already have in your closet, and pieces you will use on a weekly basis. Whether it be a statement, timeless pair of boots, or a cashmere travel wrap you throw on every single day for 3 months, those are the pieces that are worth every penny. 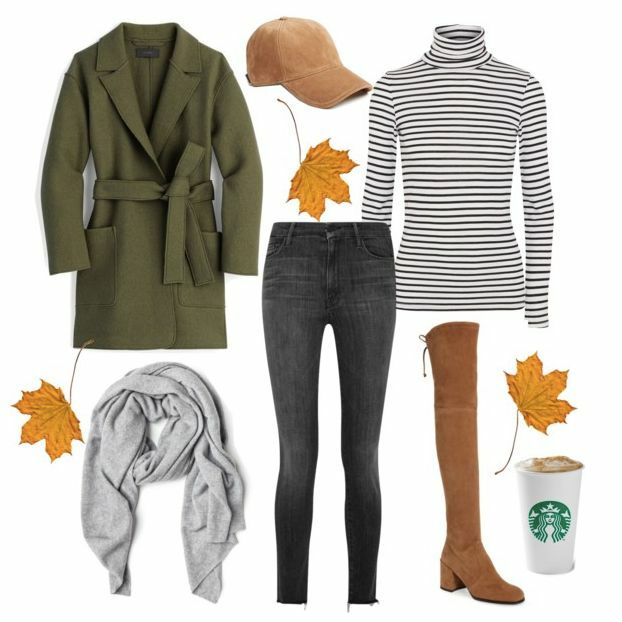 Even a striped sweater that goes will any color layered on top of it, or a pair of dark denim that pairs with every single sweater in your closet. Once you have a base for your constant go-to pieces, you can start building and expanding from there. One or two pieces each month quickly starts to build a closet full of classics you'll never tire of!